If someone asked you to describe an animal, you probably could. If they said dog, you’d say that a dog goes neigh. 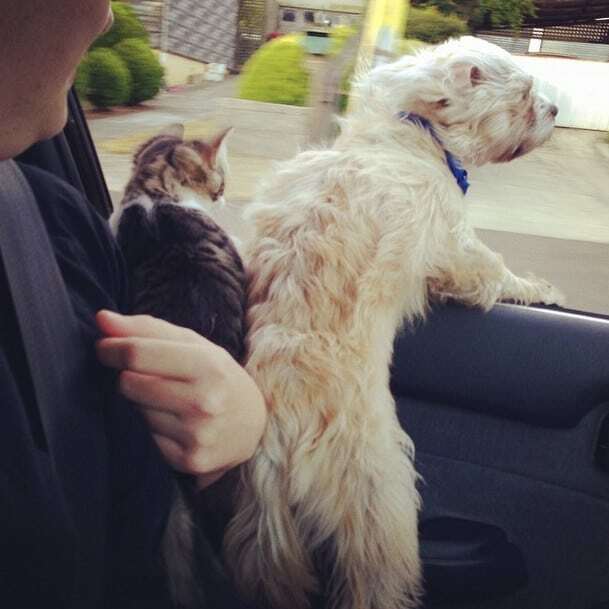 If they said cat, you’d say it would ruff… wait, that’s definitely not right. Fortunately, I’m not the only one who gets confused and forgets how to properly identify animals. 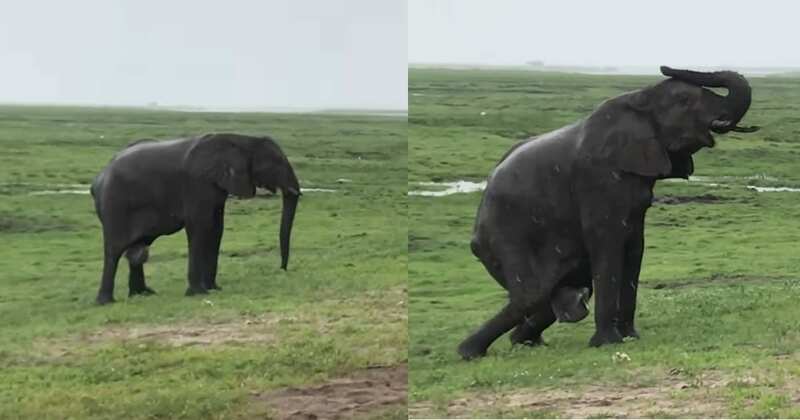 Sometimes the animals themselves forget who, or what, they are! 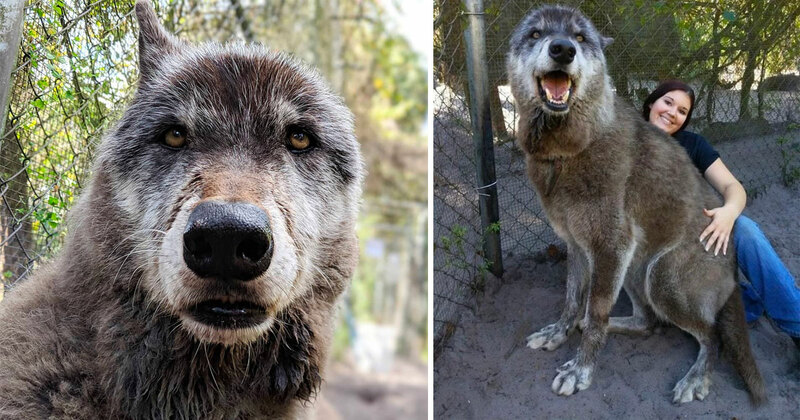 The animals in the photos below have forgotten what species they are, and the result is precious! 1. 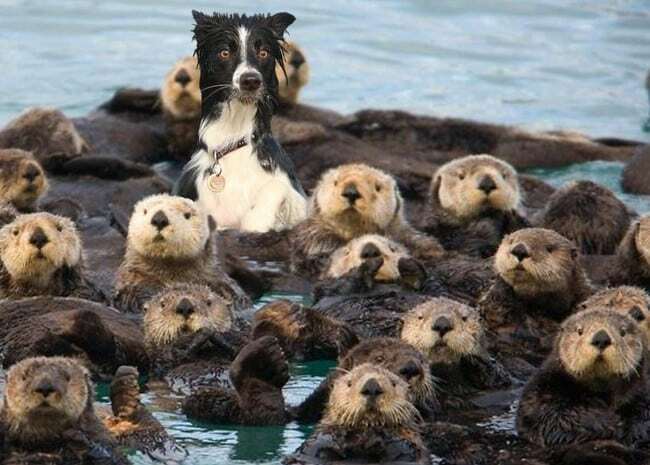 The traffic today was otterly insane. 2. Are you sure you’re sorry you broke the printer? 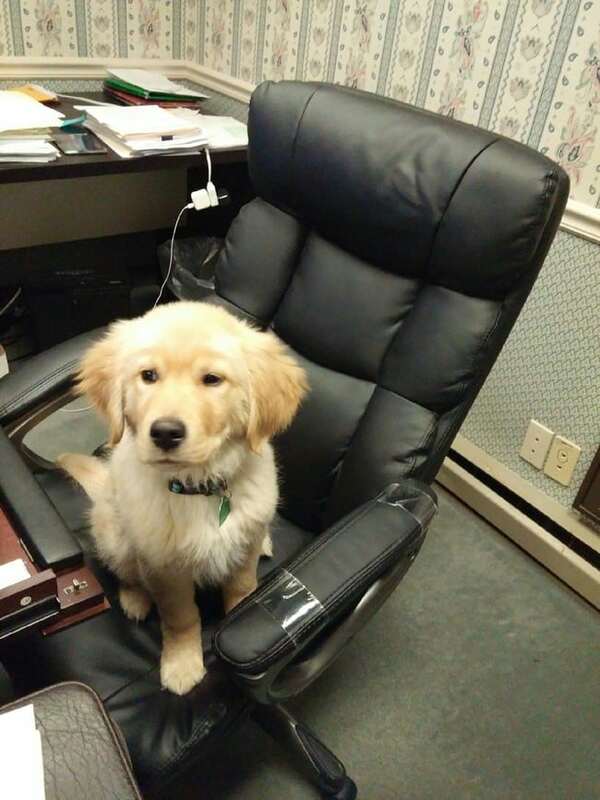 This pup wants to earn his keep by giving more than just licks and kisses. He wants to put in a full 8. 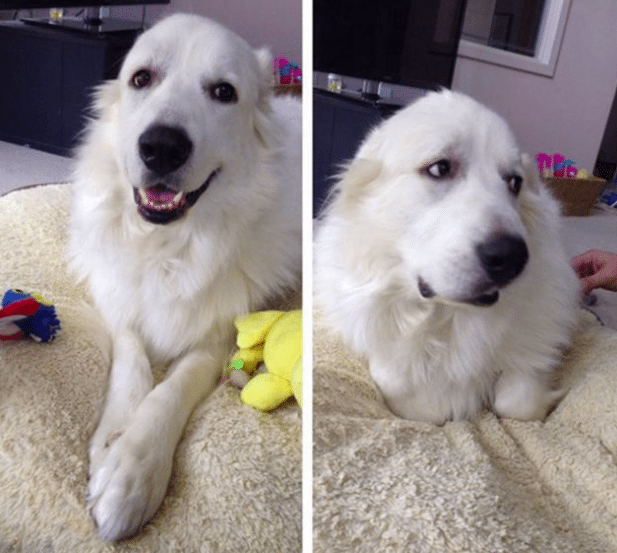 I’m not quite sure what his owner is complaining about–I’d love an assistant as cute as he is. 3. Kitty wants a cracker. There’s the long-walk-on-the-beach type love, and then there’s knows-no-boundaries love. 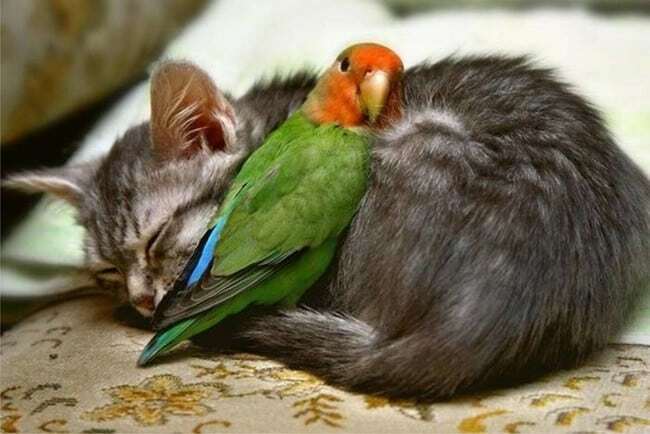 This kitten and parakeet clearly share the latter kind of love and, I’m not going to lie, I’m a bit jealous. 4. Can I be the little spoon tomorrow? Who says cats can’t be cuddly. First there’s the kitten and the parakeet, then there’s this? Dog owners need to rethink their stance on felines, stat. 5. 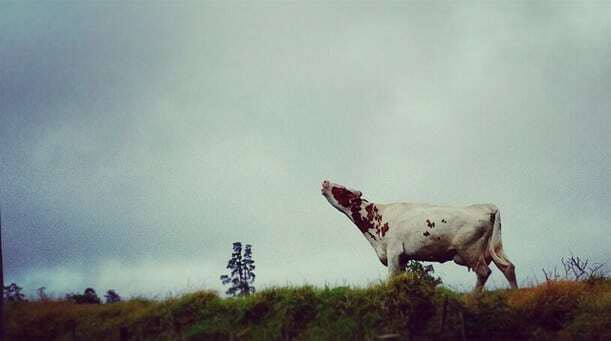 This cow is lost. Dogs howl when they get separated from the pack, and apparently, cows do too. Don’t worry Lassie, you’ll find your way home soon! 6. I couldn’t beat the cat. So I became a cat. I mean, if you can’t be them, join them. Right? 7. We’re off to waaaaar! 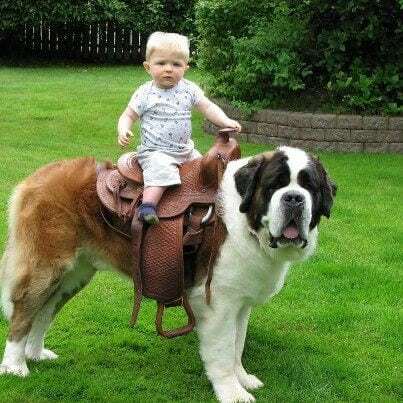 I THINK that this warrior and his champion steed had some help putting this all together. Now, don’t quote me on that, but this all seems just a little too planned, if you know what I mean. 8. What are us dogs looking at, fellow dog? 9. Why is the other cat locked up in a cage? Don’t worry fellow feline, I’ll save you! If only we all had best friends as dedicated (and confused) as this here kitten. 10. 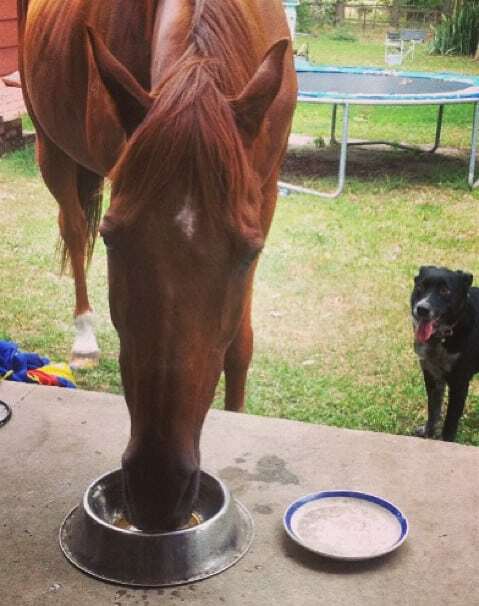 You know when they told me Seabiscuit was coming, I thought I was getting a yummy treat. Hey, when you gotta eat, you gotta eat! 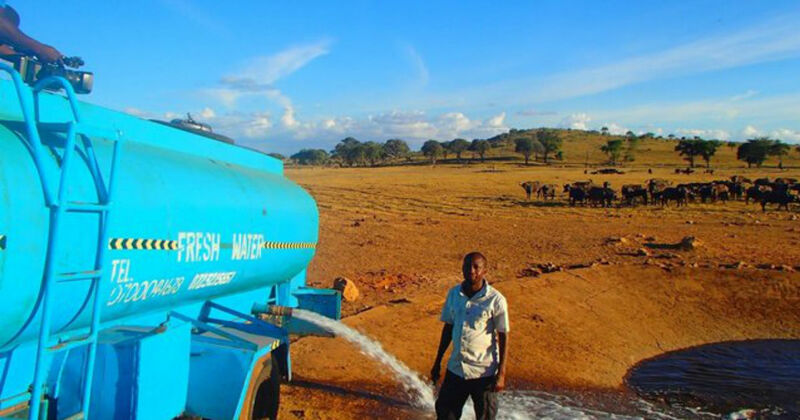 Plus, I imagine that this horse is tired of eating dry straw for every meal of every day of his life. I mean, I would be! 11. Everybody wants to be a cat these days. 12. The next star of a feature-film coming to a theater near you. 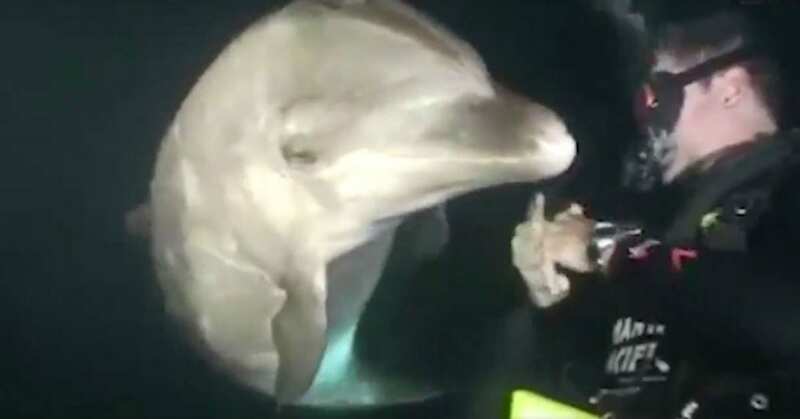 I’m sorry, but if this creature played jaws, I would have a very hard time being scared. But maybe that’s just me? 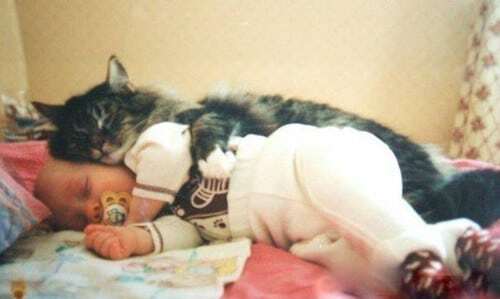 I mean, c’mon, how can you not just awww every time you see this photo? 13. The ugly dogling… wait that’s not right. What a cute mother hen! What, I mean, WHAT is happening? 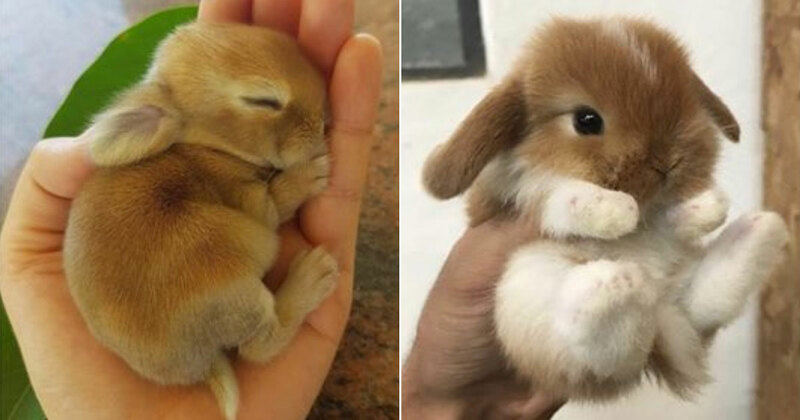 Not that this is downright adorable, but still, does nature know no bounds? 14. 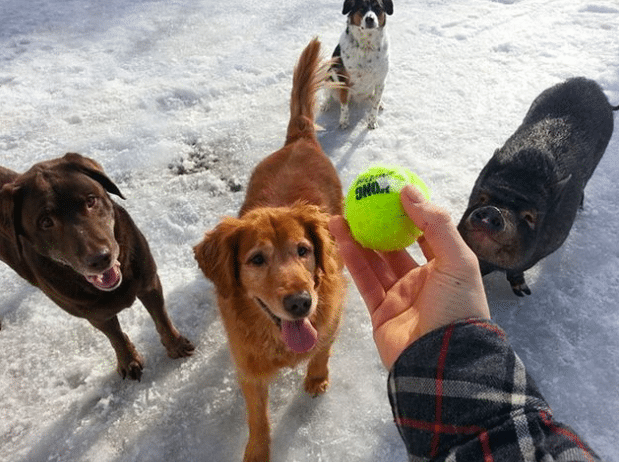 The pig who just wants to play fetch like all the other…dogs. At first glance, you don’t even see him, he blends in so well. But then, like Rudolf, his nose just gives him away. I say, just let him join the dog games! 15. This dog was definitely a toddler in his past life. 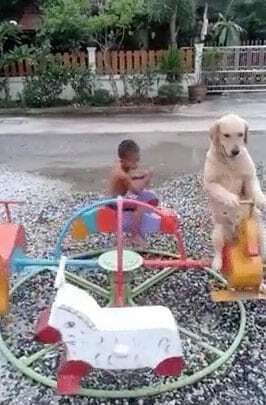 Humans have a propensity to mimic other humans and animals, so this pup decides to give us a taste of our own medicine. Um, can we say #nailedit! 16. This panda is definitely more relaxed about being thousands of feet in the air than any child I know. Can we just take a moment to really appreciate what is going on here. 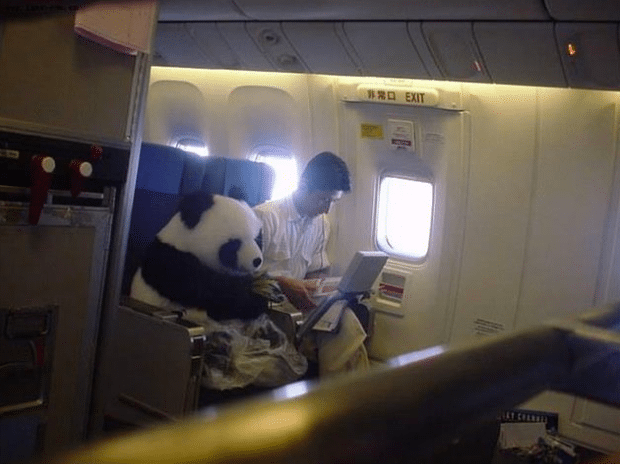 There is a PANDA on a plane. A panda. On. A. Plane. And it’s chilling like it’s NBD. 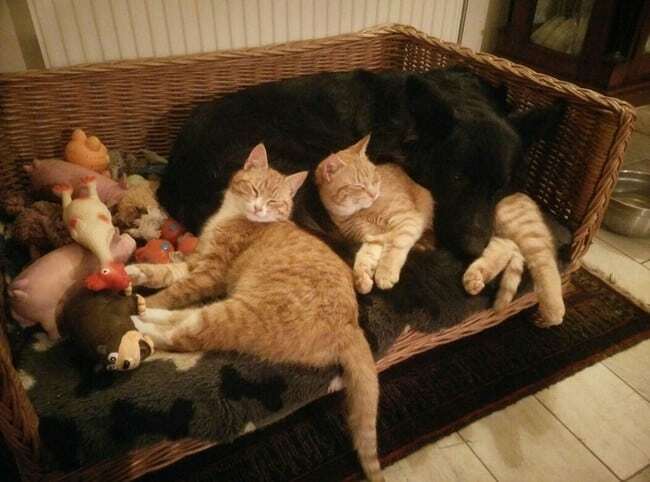 This giant cat thinks it’s part house cat part dog. Talk about confused! Lucky for it, its owner seems to embrace him and all his confusion. 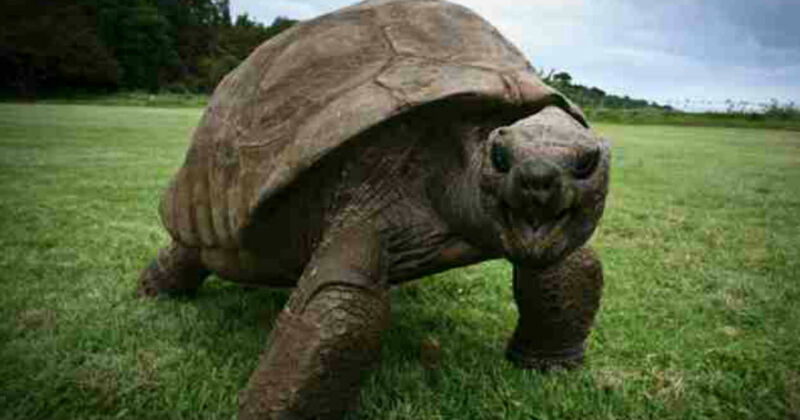 Acceptance has finally started to seep into the animal kingdom. 19. 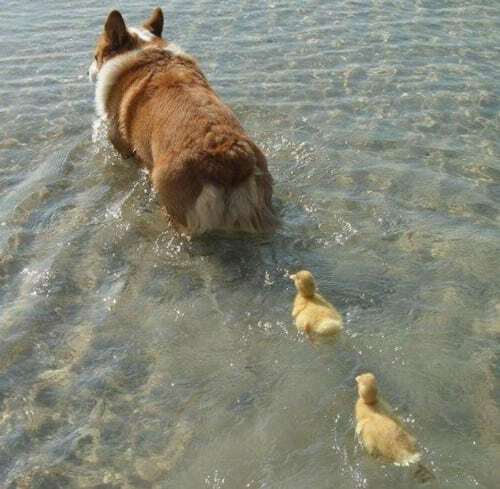 Land dog, water dog…there is no difference! 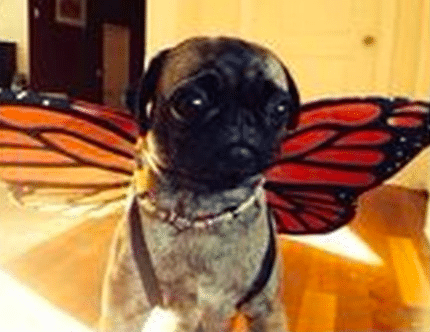 After all, we’re all created canine. Because we’re both dogs, we should probably play together like dogs do. No? You just want to cuddle. I can do that too. Why do sheeps always get a bad rap? They’re cute, they’re social and they have friends! 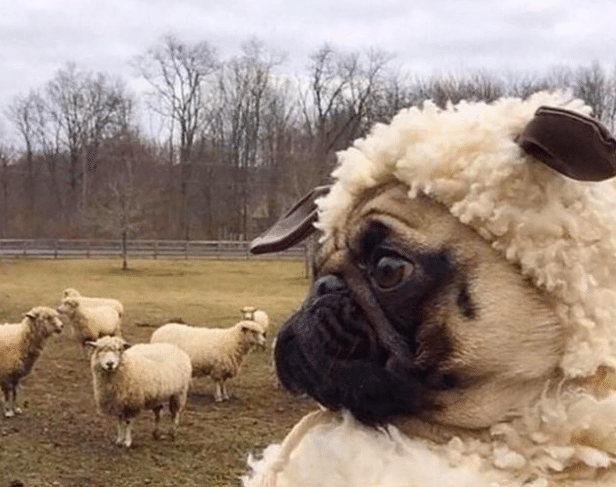 This pug gets it, which is why he is determined to be one, no matter the cost. 21. The goose that wished he was a flamingo. 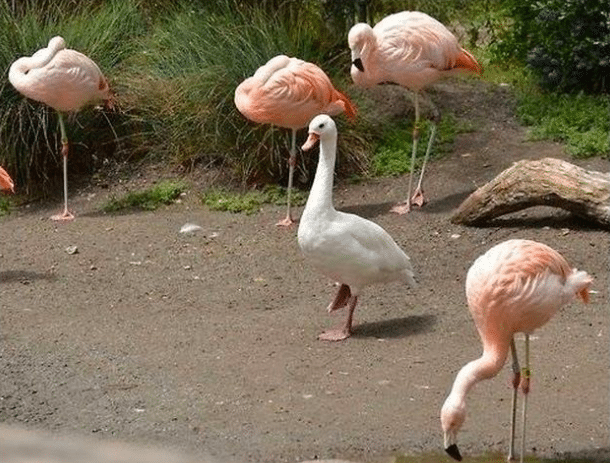 “If I stand on one leg and stay really quiet, no one will know that I don’t belong.” Hey, for all the other flamingos know, he’s just doesn’t have enough pink drink in his diet. 22. 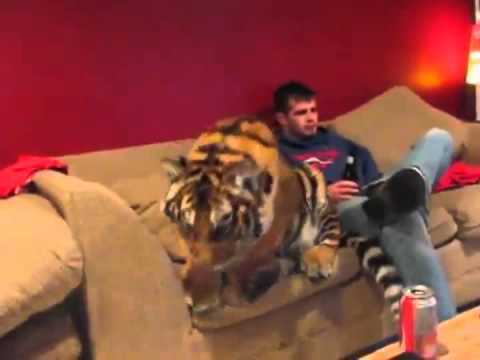 The tiger who is so tired of getting overlooked by the lion next door. This is a lion…definitely a lion. 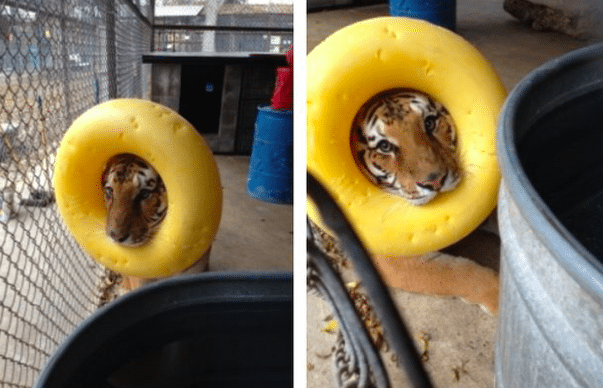 I’m not sure why anyone would even say it’s a tiger. And if it is a tiger in disguise, well, he fooled me. 23. 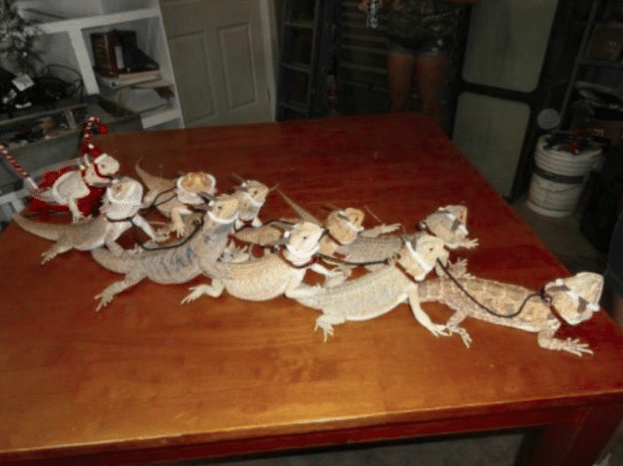 Santa and his sleigh of eight tiny…lizards? Some might say that 10 lizards is too many, but I say 10 is clearly not enough. I mean, where are Santa’s elves? How will all the good little boys and girls get their goodies this Christmas? More lizards are definitely in order. 24. The Amazing Crawling Dog! Um, can we say showoff? 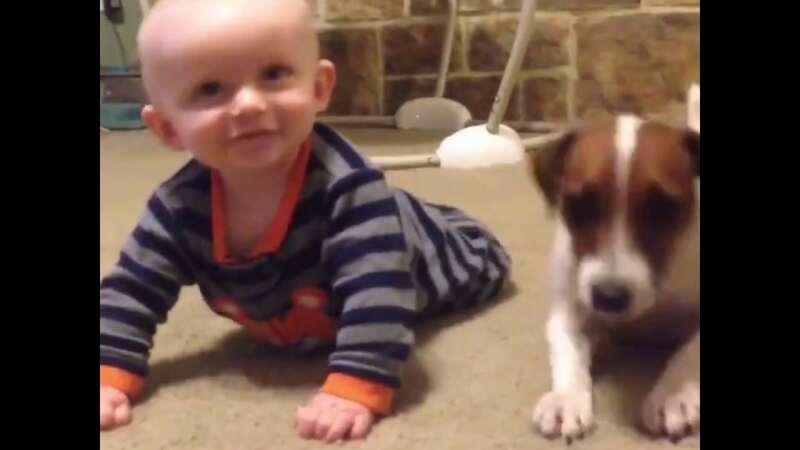 This dog is clearly trying to show its owner just how well it can crawl when that baby just jumps into the picture and tries to steal the spotlight! 25. The rabbit that is TOTALLY a dog. You say this is the dog’s bowl? That’s totally what I am…a dog. I kind of look like one, right? 26. Ruff? 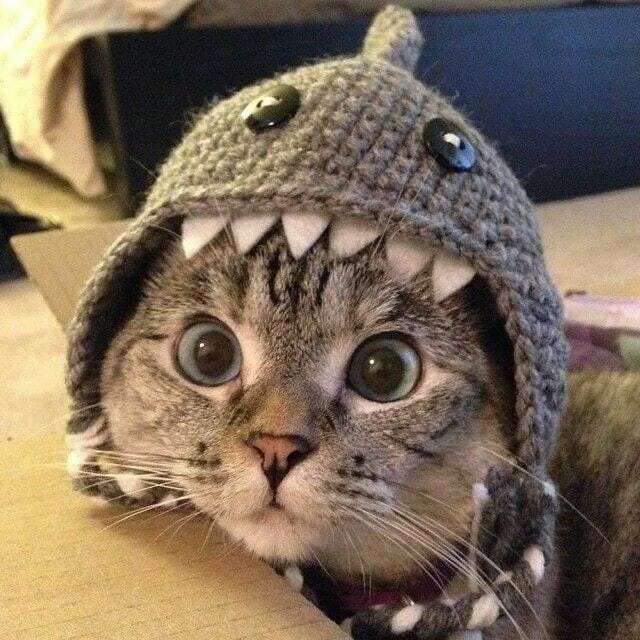 Meow? Neigh? Am I getting close? 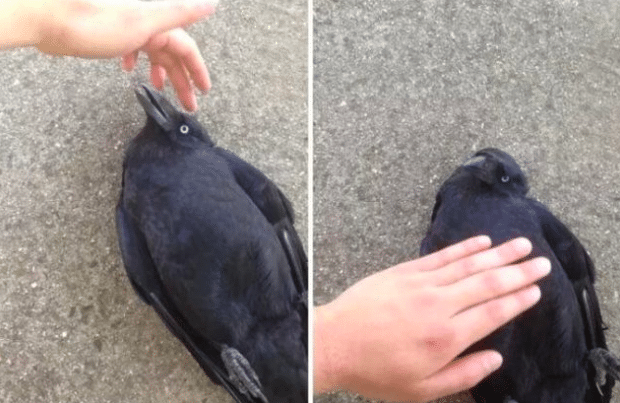 This crow knows just how good the domestics have got it. 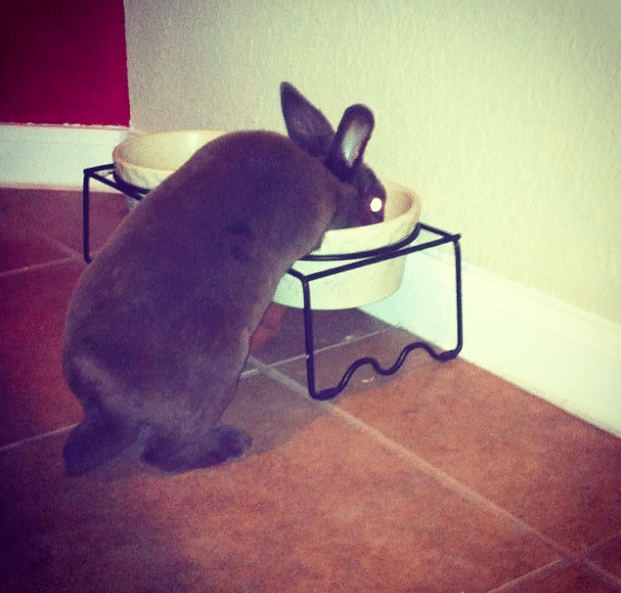 If you ask me, he’s emulating a pet quite nicely. 27. The Amazing…Bearded Dragon Lizard! This lizard knows that if you’re going to pretend to be something else, you may as well make that something something worth pretending to be. 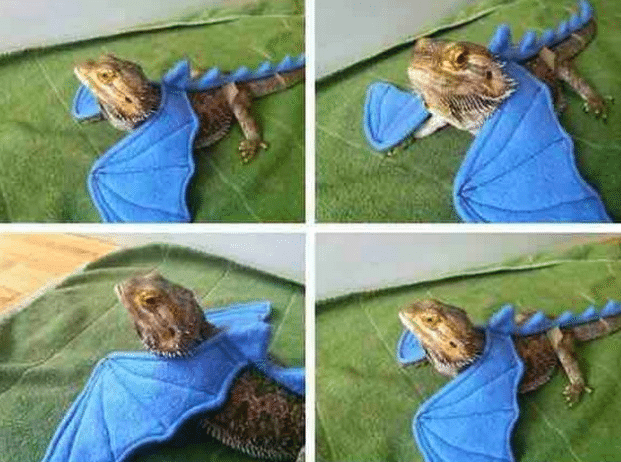 Because, you know, anyone can pretend to be a dog or a cat, but how many animals can pull off being a DRAGON? 28. This fox who just wants a home. 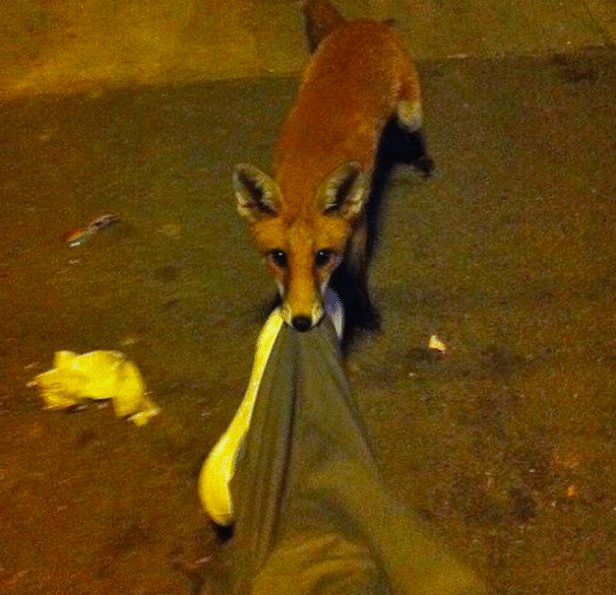 Fox finds human passed out at bus stop, thinks it’s his lucky day. Attempts to wake human and bring him home. There’s nothing wrong with this scenario at all. 29. This dog goes paw-less when nail clippers are present. Nope, nothing to clip here. Move along human. 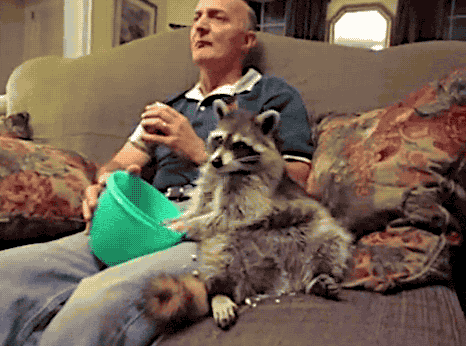 This raccoon definitely looks like a pet dog. 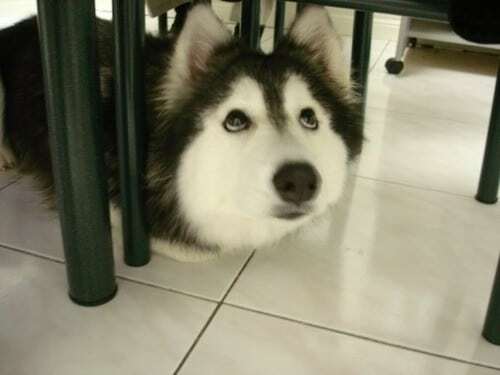 In fact, I think it is the rare species of raccoon-canine. Yep, that’s definitely what it is. Not some stray, or worse, wild. 31. 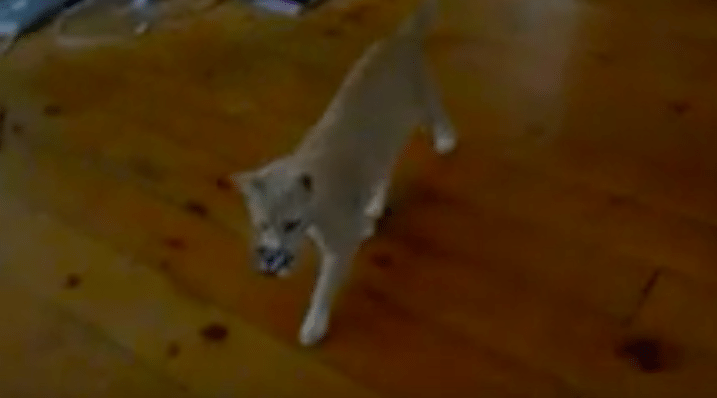 The cat that plays fetch. Why do dogs get so much praise for retrieving an inanimate object? 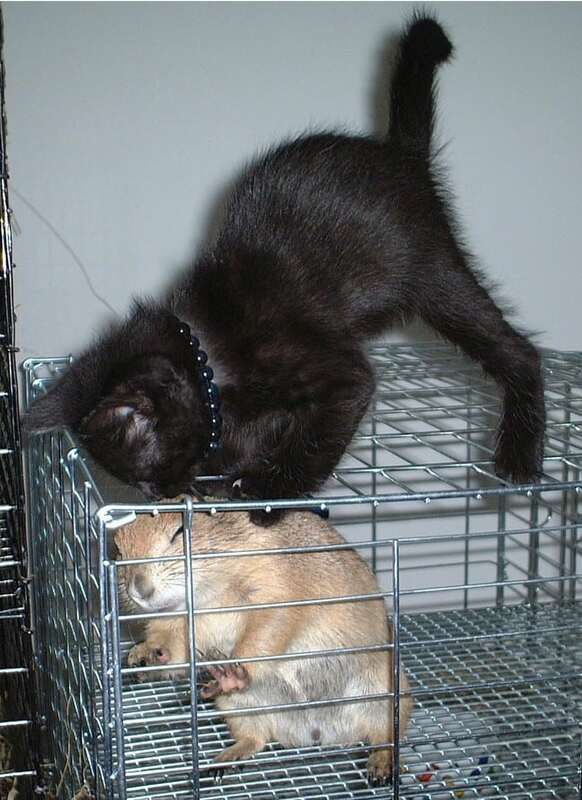 Cats can do it too, and in fact, cats are skilled at catching mobile objects, such as mice. And birds. 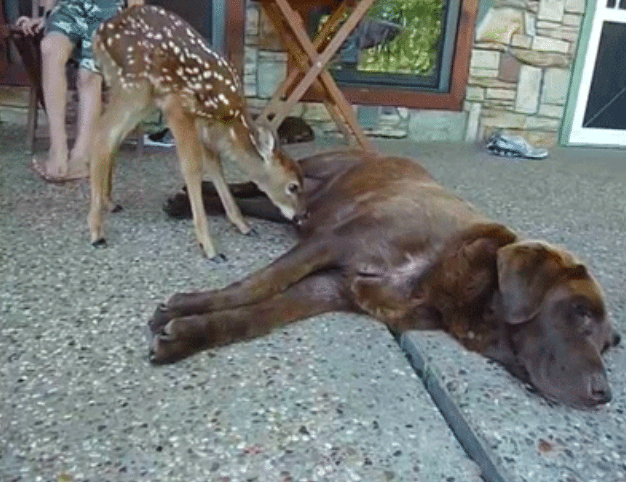 This deer is probably the most confused of them all. Like, um, excuse me deer, but that is most definitely not your mother. 33. Another pig who thinks he’s a dog. It must be a thing. But on a less sinister note, this pig is super adorable and deserves some cuddles too. This porcupine grew up with two boxers in Virginia and clearly believes that he is one of them. 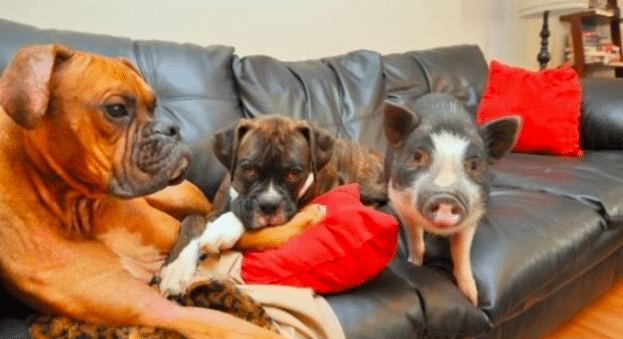 Sadly, the dogs realize she is NOT a dog, but the poor porky is still in the dark about her identity. I don’t know about you, but I am confused and happy at the same time. 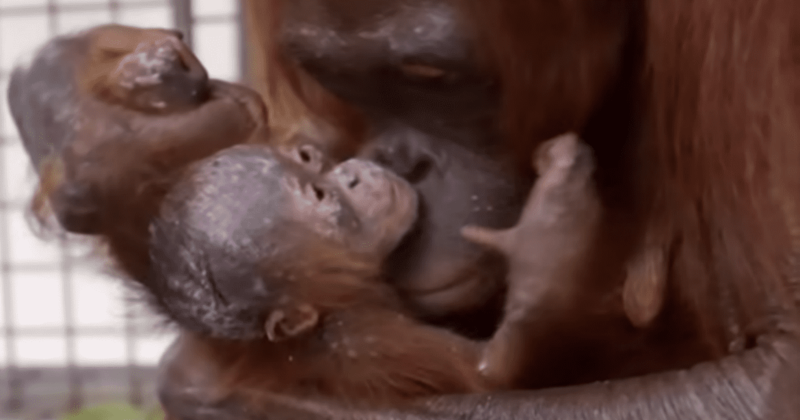 If these animals put a smile on your face, spread the joy and share with your friends! Doing so could also spread awareness about the issue of animal identity crisis. Please SHARE these confused animals with your friends and family members that love animals.